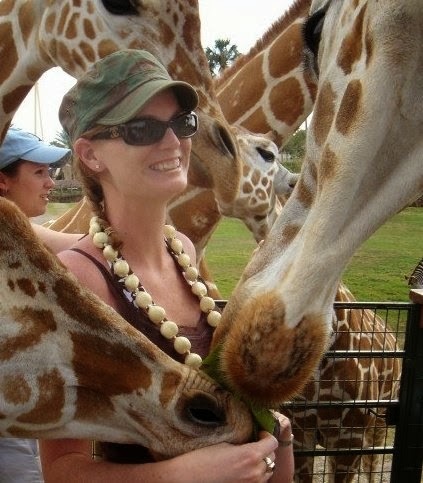 Why are all of my friends are giraffes on facebook? I woke up yesterday morning and noticed that one of my favorite animals was becoming a profile pic for many of my friends on facebook - the giraffe. As the day went on, more and more friends became long necked beauties. I had to know why my friends were turning into giraffes on facebook? Riddle me this - Riddle me that....A friend on Facebook messages a group a question. You are to respond to them directly. If you get the answer correct, you get to keep your profile pic. If they get it wrong, your friend must make his or her profile pic. I am amazed at how many people of all ages are playing along in this virtual game. 3:00 am, the doorbell rings and you wake up. Unexpected visitors. It's your parents and they are there for breakfast. You have strawberry jam, honey, wine, bread and cheese. What is the first thing you open? My answer was: Well, it's 3am - if my parents drove across the state at 3am to see me without notice, something is very wrong so I would open the door in shock - then open a bottle of wine to calm my nerves. Apparently, I am miss smarty pants. The answer is, the first thing you open is the door (although others are saying your eyes). My best friend Keri has always said I resemble a giraffe, so it is to no surprise they came flocking to see me while visiting at Busch Gardens a few years back. I kinda want to make this my profile pic to fit in with everyone else!